Since we have all been a bit under the weather with a harmattan bug this week, I decided to share a photo from our South African archives with you today. 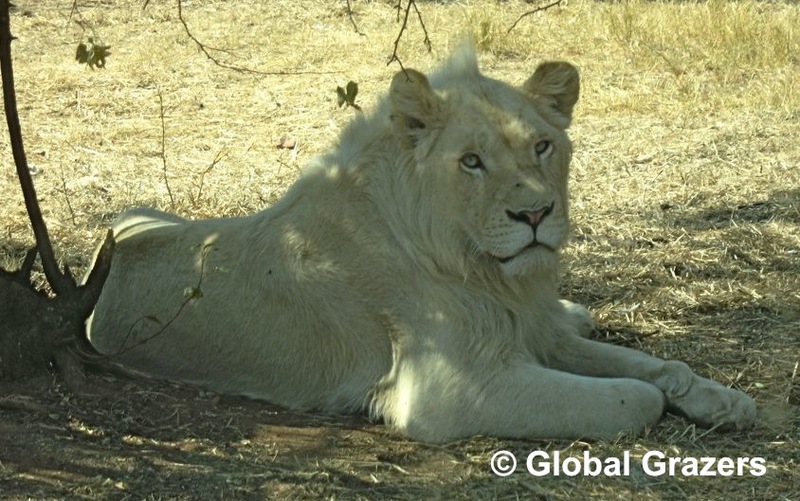 We were lucky to come across this regal white lion basking in the late afternoon shade at Johannesburg’s Lion Park. ← Ginger Tea: A Miracle Medicine? Sorry you’re all under the weather. Thanks for the lion pix. A beauty. Amazing shot Jeanette. How close where you standing to the tiger? Wow!! Thank you so much! We’re really flattered to have been selected!